House cleaning with kids is easier when cleaning is fun for everyone involved. Actually, it really isn't all that hard to make house cleaning fun - or at least less unfun. And with everyone onboard - or at least not whining or griping about house cleaning as much - you can actually get your home clean each week. 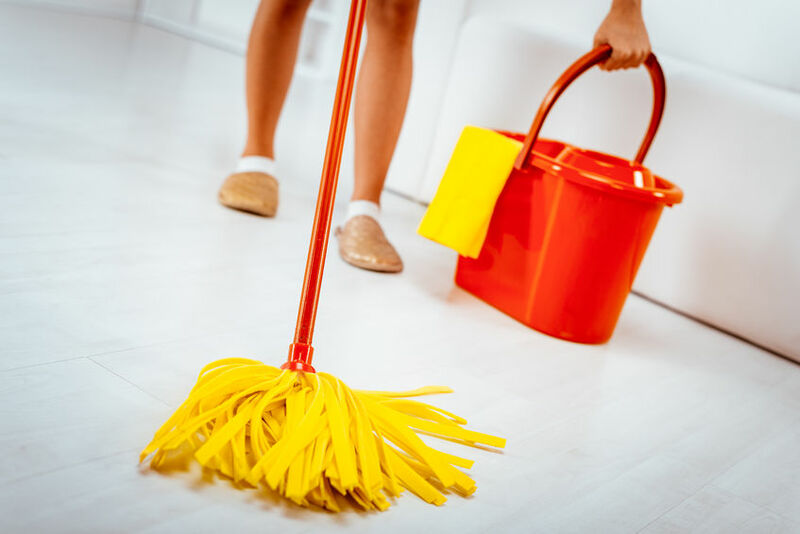 Here are my 5 favorite ways to bump up the fun factor to get house cleaning with kids happening with a minimum of complaints. House cleaning with kids means just that - Mom and Dad get into the cleaning action, too! After all, if everyone is working, it's more fun. Turn on upbeat music while you and the kids clean. You get the picture - a smiling group making short work of house cleaning. Fill the house with positive energy, not grumbling. This saved (or sunk)-by-the-lunch bell approach to getting it all done by lunchtime Saturday was designed for the revolving-door family whose weekly chores occasionally get sidetracked by tests, book reports, and science projects or meetings. Whatever assigned chores are not accomplished during the week are due by noon Saturday. I call this the "Room Monitor System." Each month, assign a different family member a different room as his or her point of pride. This means that before lights out, that family member has to give the room the once-over to make sure that it's in good shape. Assign the little ones the rooms that won't be used past their bedtimes, such as the dining room. At the end of the month, the family member who has kept the best room gets a special treat, such as his or her choice of a family afternoon or night out. When a big cleanup day is necessary, have the family don sweats and labor the day away dragging rags and pails, a la Cinderella. In the evening, with a wave of the fairy godmother's wand, the family dresses up and goes out to dinner and a movie, or whatever everyone enjoys together. Looking forward to a magical family outing makes even the longest list of chores palatable, especially when they're done together.